Industry star Mario Dedivanovic has become widely renowned for his flawless makeup application style, a robust roster of celebrity clients, and his sellout Master Class series. Along the way, he’s accumulated a 6.1 million person Instagram following (@makeupbymario.) 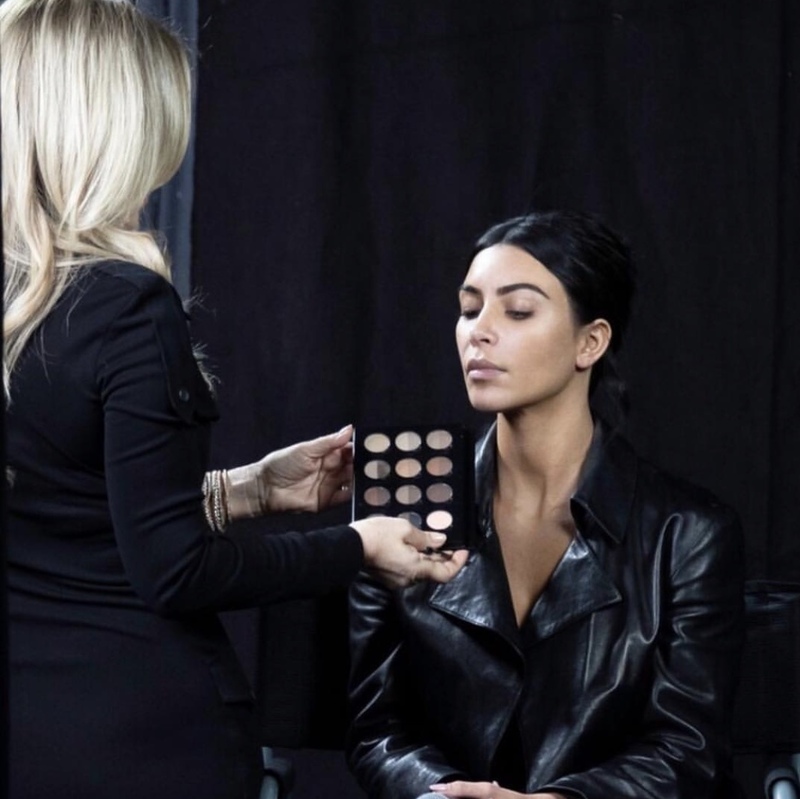 and lent his name and knowledge to the fan favorite ABH collaboration, the Master Palette by Mario, as well as the recently released KKW x Mario collection. 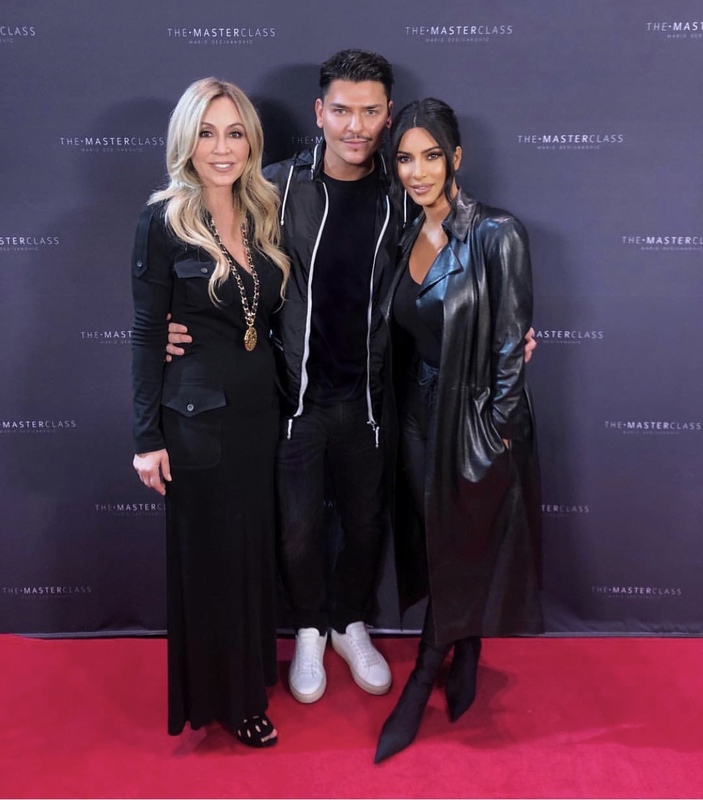 This past Saturday, Mario hosted the latest installment of The Master Class in the historic theater of the Ace Hotel in Downtown Los Angeles, where he set out to recreate a 90s glam look for special guest and beauty icon, Kim Kardashian West. In each Master Class, Mario walks students through the process of tailoring an approach to a client’s specific features, placing emphasis on technique, tools, tip and tricks. 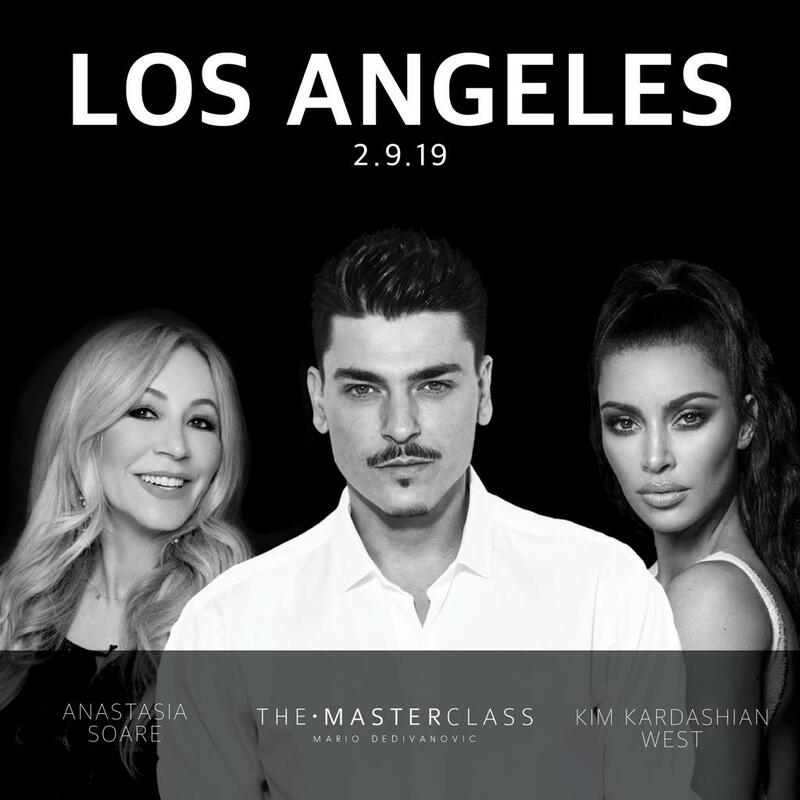 For the shaping of Kim’s brows, Mario invited Anastasia Soare onstage to give a demonstration of the Golden Ratio 3 step technique and speak to the audience about the products she was using to achieve the ultimate arch. Read on for Anastasia’s full tutorial. “First, I started with the ABH Brow Pro Pallate. If you are a makeup artist, this palette is a must-have for your collection. It contains all 11 shades of the Brow Powder Duo , plus Brow Primer - which we also have available as a standalone pencil. I love to use Brush 7B to apply the powder. It’s very precise, and has the perfect softness to the bristles. Typically, I’ll use a color that is one shade lighter than the natural brow hair as a base all over the brows, before creating individual strokes of hair with a darker color. On Kim, I used as a base the Brow Powder in Medium Brown and DIPBROW Pomade in Dark Brown for the hair-like strokes. With the DIPBROW Pomade, I recommend using Brush 12. This brush is very thin with just the right amount of flexibility, perfect for mimicking individual hairs. Our DIPBROW is a waterproof product, and it will slowly dry out once the cap has first been opened. To keep it refreshed, use a drop of ABH Hydrating Oil once a week. For even more dimension, I use Brow Wiz in Medium Brown to add a few more strokes and comb the product throughout the brow for a natural finish. Last, I use the Pro Pencil and Brush #20 to add clean definition to the brow line and highlight the brow bone.